Note: I am starting to write and curate on tools and processes related to information management. It's initially addressed in my book and it's just becoming an ever growing need. Organizing your information so you can find it is truly a time management and needed productivity tip, as well a 21st century professional competency! Find yourself too busy to read all the blogs and publications that interest you? Don’t have time to keep on top of the news in your industry? RSS is a great tool for keeping up with all the blogs you know you should read, without spending all day on your computer. While RSS sounds complicated, it’s actually really simple, and it goes a long way toward making your life easier. It also saves you time, and we can ALL use more of that. Let’s be honest: Being smart about RSS makes you look good. So what is RSS, exactly? Before we dive into today’s hack, here’s a quick RSS explainer. In simple terms, RSS allows you to aggregate new posts from all the blogs and publications you want to keep up with in ONE place. Rather than hop around to a million different URLs to catch up on news while you sip your morning coffee, you can hang out in your aggregator and easily browse new entries. Think of it as a sister to email but without the spam; all the important stuff comes right to you. I used to recommend Google Reader because it was the simplest RSS tool around. But Google has eliminated its Reader, forcing us Google Reader disciples to find an alternative. My Socialexis team now uses Feedly — and for more than keeping up with industry news. We also use it to find blog and social media fodder for every one of our clients, making it a vital part of our workflow. If you’re new to Feedly, here’s an easy-to-understand guide from Jessica Lawlor about how to get started. But my goal here isn’t to convince you to set up RSS. Instead, I want to give everyone who’s already sold on the value of aggregation a better way to use Feedly or whatever RSS tool you prefer. 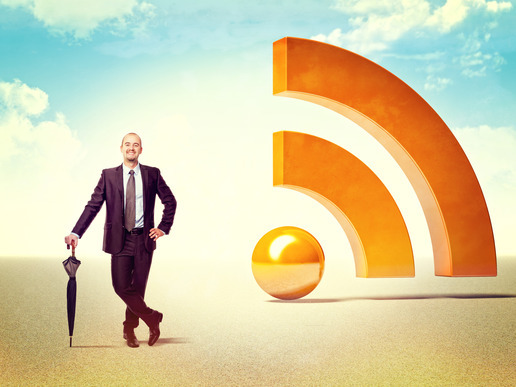 Most of us typically set up our RSS tool haphazardly, just sort of throwing lots of blogs and news sites into our reader. If you’re savvy, you might organize your Feedly into folders by topic. Here’s a way to take it even further, a tactic that’s especially important for those of us who are so busy that we’ve gotten into the habit of neglecting our Feedly: organize by importance. You can do this in two ways. That folder includes all the blogs I absolutely don’t want to miss, the ones I want to see even when I have a lot of other tasks on my plate. Feedly allows you to put blogs into more than one folder, so you can file your top choices both in a topical folder and in your “Don’t Miss” folder. That way, even during weeks where you’re running from one event to another, you can easily pop into your Feedly and browse new posts from the publications that are most important to you. This is a great way to ignore a lot of the noise on the Internet and focus only on what you care about. Kind of like the Notice-Me List you create to wade through Twitter noise. The second way to do this is to avoid topical folders altogether and organize by importance only. Create several tiers of folders — Tier 1, Tier 2 and Tier 3 — and file all your publications wherever they belong, with Tier 1 being most important. Whenever you have time to pop into your reader, start with Tier 1, to make sure you get through the important information first. When you have extra time (or, let’s face it, are procrastinating), you can move onto Tier 2 and Tier 3. No matter how you approach it, this system of prioritizing will help you be more efficient, so you can accomplish the big things that really matter. Would you try organizing your Feedly this way? Do you have another way to organize your RSS tool that we should all know about?